The last blog I wrote about Brexit, and it’s potential impact on Scottish startups was fairly upbeat, and while it clearly reflected my own views it was inevitably shaped by the mood of people I work with day-to-day, mostly in Edinburgh. 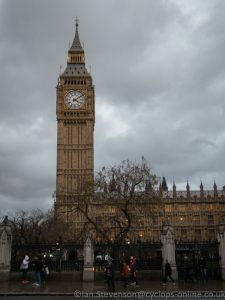 Two weeks ago I spent a couple of days in London. The mood could hardly have been more different. Two VC partners I spoke to were extremely concerned about their next close/raise because they are seeing European investors pub business with London on hold due to uncertainty. Inevitably as they worry about raising more money. They are being more conservative about investing their funds in new opportunities, and they are also worried about the impact of Brexit on their existing portfolio. Raising money is also more difficult for VC partners as a result of the shifting risk landscape. Often large funds put money into a VC as their highest risk class investment – with the potential of high reward. This is part of a blended investment approach covering everything from very low risk (e.g. precious metals) to property, equities and derivatives. The risk associated with equities and property has shot up – due to both currency and market uncertainties, so the overall risk in the portfolio has shot up. As a result the appetite for the highest risk investments (money going into VCs) has fallen dramatically. If these effects – risk aversion and lack of money from Europe – persist in reducing the money going in to VCs, then the level of investment in startups will fall sharply. While I was in London I also met a number of civil servants and business people operating outside the startup sector. With all of these people, the level of concern over Brexit what much higher than I’m seeing in Edinburgh. Some of the political turmoil has settled a little since then (we have a new Prime Minister now) but I don’t see the fundamental concerns about Brexit going away. The mood is such that I fear London will talk itself into a recession, with all the damaging consequences that will have, and take the rest of the country with it. In spite of the depressing mood in London, I’m still aiming for business as usual – trying not to be downbeat about prospects while recognising some of the potential challenges of the coming years. If everyone does that, perhaps we can still weather that without too much damage.